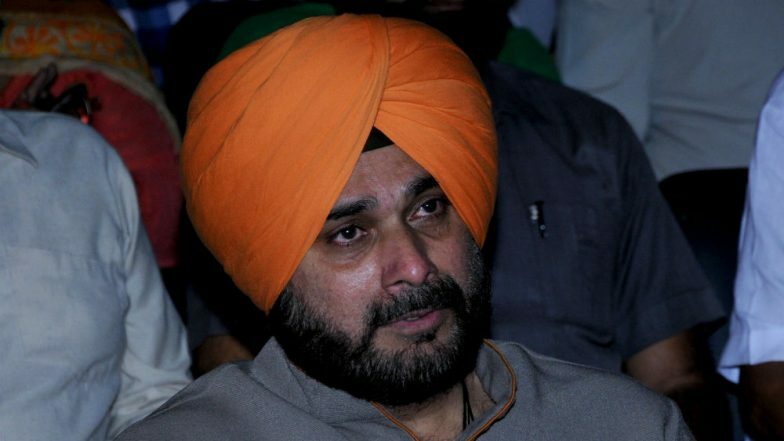 New Delhi, April 16: A case has been registered against Congress leader Navjot Singh Sidhu for allegedly violating the model code of conduct (MCC) during a rally in Bihar's Katihar. The Punjab Minister had appealed the Muslim voters, who form nearly 65 per cent of the constituency's electorate, to vote en bloc in favour of Congress in the Lok Sabha elections 2019. The comments by former test cricketer at a rally in Katihar, where he was canvassing in support of veteran Congress leader and former union minister Tariq Anwar, drew an angry response from BJP which condemned the "reprehensible act", urged the Election Commission to take "suo motu cognizance" and take suitable action. Watch Video of Sidhu's Contentious Appeal to Muslim Voters. "Recognize your strength and vote en block to defeat Prime Minister Narendra Modi," he said. A video footage of Sidhu's comments in the remote area was beamed by TV news channels on Tuesday. The former Amritsar MP, who has been campaigning for his party in the Seemanchal region of Bihar, appeared to have mixed up Katihar with neighboring Kishanganj where Muslims are in the majority and AIMIM has put up a candidate. "On the one hand, our party under the leadership of Modi has been working with the motto of 'sabka saath sabka vikas' and on the other hand the Congress has nothing to offer except divisive politics. We condemn this reprehensible act by the Congress leader," Kumar said.